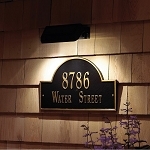 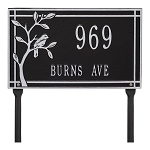 This address plaque is made of rust-free cast aluminum. 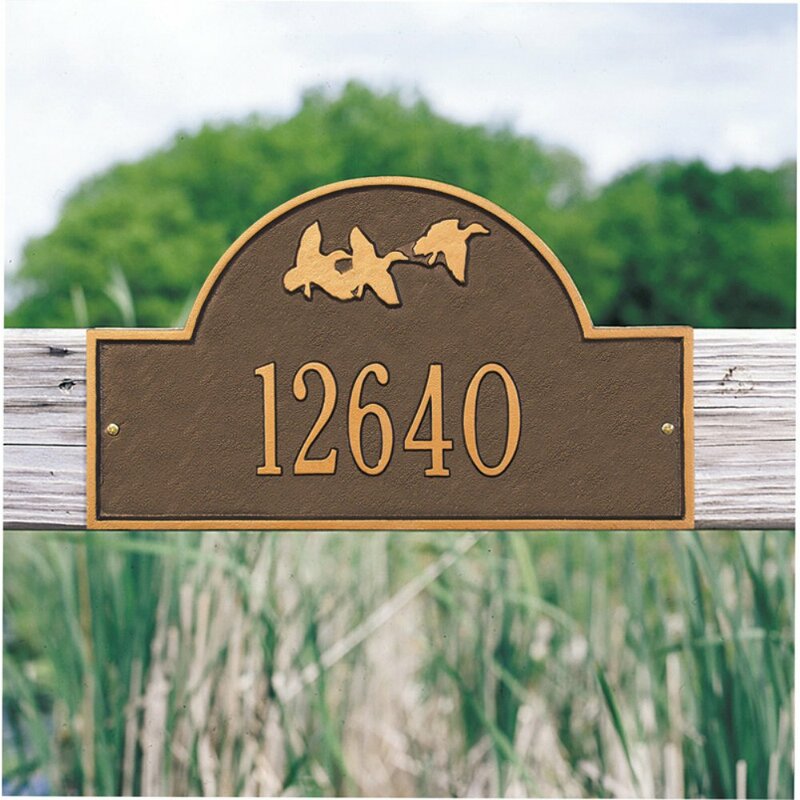 The plaque comes in your choice of several colors. 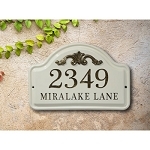 The plaque is available in wall and lawn styles. 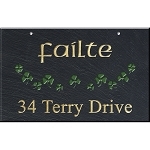 Please note that this plaque uses larger first letters when alphabetical characters are used.